The Festival Day of St Oliver Plunkett will be celebrated in St Peter’s Church in Drogheda today. 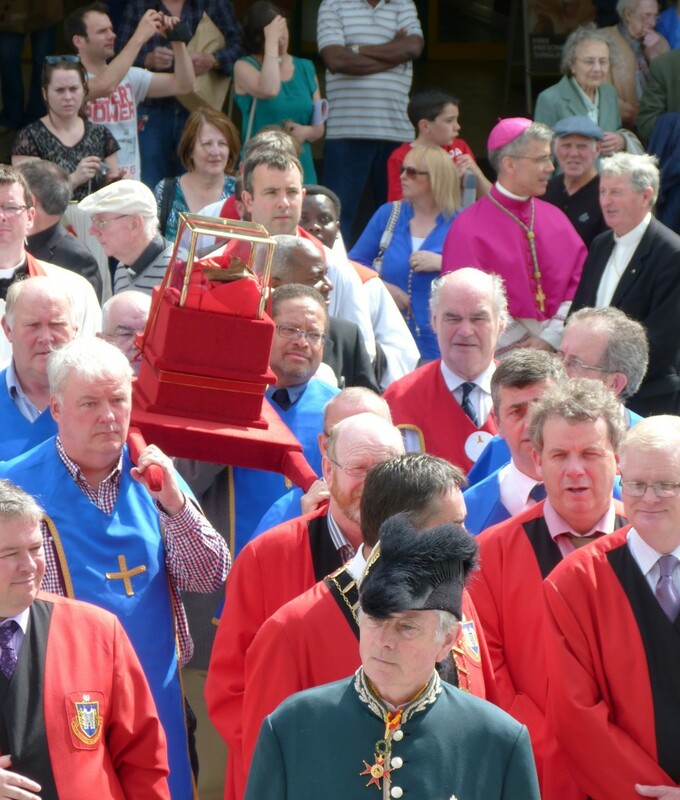 The 2016 procession, culminating in the celebration of the Festival Mass, will commemorate the 96th anniversary of the beatification of Saint Oliver Plunkett by Pope Benedict XV on 23 May 1920, as well as the 41st anniversary of his canonisation as a martyr by Blessed Pope Paul VI on 12 October 1975. The homilist is Fr Sean Henry, the parish priest of Trim in the Diocese of Meath. One of the features of the Festival Day on Sunday will be the colourful ‘Procession of the Relics’ of St Oliver Plunkett. Starting at 3pm at the Holy Family Church, Ballsgrove, pilgrims will process to St Peter’s Church, which is the Memorial Church of St Oliver in Drogheda, where the Festival Mass will be celebrated at 4pm by Cardinal Seán Brady, Archbishop Emeritus of Armagh. Pilgrims will have the opportunity to enter through the Holy Door of Mercy of St Peter’s, which is a designated Jubilee Church during this Holy Year of Mercy. Music will be provided by St Peter’s Male Voice Choir directed by Edward Holly. St Oliver, a former Archbishop of Armagh and Primate of All Ireland, was martyred in Tyburn, England, in 1681. Along with Ss Patrick and Malachy, St Oliver is a patron saint of the Archdiocese of Armagh. He was ordained a priest for the Diocese of Meath in 1669. Each year celebrations of the life of St Oliver also take place at his birthplace in front of the old ruined Church at Loughcrew, Oldcastle, Co Meath. Last Sunday, Bishop Michael Smith of Meath commissioned the young pilgrims of the diocese participating in World Youth Day, which is being held in Krakow in Poland from 26 – 30 July, at St Oliver Plunkett’s birthplace in Loughcrew, Co Meath. Fr Mark English of Kingscourt Parish gave the homily at the Mass. 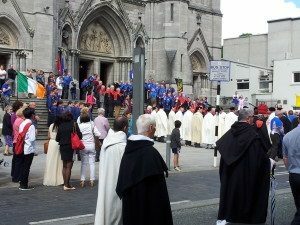 “As we must leave from here to continue our pilgrimage in life, these young people need our prayers and encouragement as they face not only the journey to join with Pope Francis in Krakow but the bigger journey of what paths to take in life and how to keep alive a burning passion for Christ, his people and his Church as Saint Oliver once did,” Fr English concluded.